One laptop. One music stand. One H2. And lots of prayer. That's how this all began. Back in April of 2012 saxophonist Adam Miller asked me to livestream his recital so that his parents, at the time doing mission work in South Africa, could watch. Of course I said yes, though I hadn't really tried something like that before. I believe that opportunity rests within the unknown, and I wasn't about to let that slip by without due consideration. Things were quite different back then. Ustream seemed to be the only option, since it was free, but the video was subpar, they inserted advertisements into the feed, and audio was compressed drastically. Not to mention the fact that I was relying on a webcam attached to a laptop sitting on a horizontal music stand at the front of the hall while I recorded in the back, hoping beyond hopes that the thing didn't crash while I was away. Let me say, there's nothing quite like the feeling of having a performer thank those who are watching while you cross your fingers and toes that people are actually viewing this stream and that the router didn't drop you half an hour ago. But out of this experience (which somehow worked, by the way) arose so many different feelings. Joy that someone performing in central PA could be viewed across the world by friends and loved ones. Amazement out of the fact that technology had advanced in such a way that this was accessible to someone like me. And desire, to find a way to make this available (and affordable) for anyone who wanted it, with reliable high production standards. So that summer I did countless hours of researching and testing, and launched CW Studios. 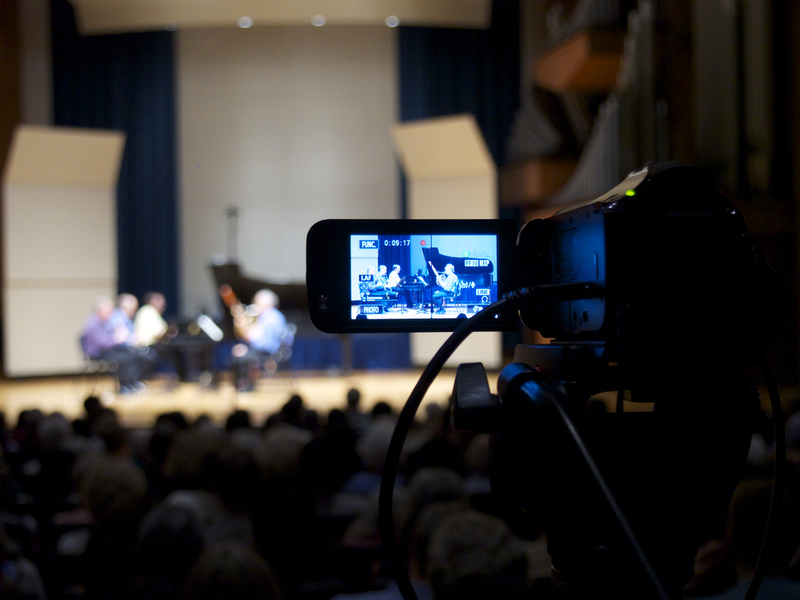 Since then I've streamed or recorded more than 200 concerts for both the School of Music and groups on campus and in the community, such as the State High bands/choirs and the Central Pennsylvania Youth Orchestra. Feedback has been overwhelmingly positive, and I can say without a doubt that it's been one of the most rewarding projects I've ever started. Over 8,000 viewers from all fifty states and over sixty countries have been able to take part in musical performances (and one German Ph.D. candidacy lecture) happening here in the middle of the commonwealth. While the benefit to friends and families is immediate, the potential impact on fundraising and recruitment for the school and the arts as a whole cannot go overlooked. The upcoming semester is chock full of performances and events, a little bit of something for everyone. So mark your calendars, tune in, and drop me a line to let me know how things worked out for you, because there's some very exciting music-making here in Happy Valley. And now anyone can join in on the fun.